My name is Alicia, but most people know me as Msbeautifulalicia on YouTube. I have always felt unloved and unwanted and especially when I reached my all time high of 560 pounds. I was ready to die – actually I used to pray every night the I could be rid of this pain. Then in 2013 I was given an amazing gift of having Gastric Bypass! Since then, I have worked hard to meet my weight loss goals. I struggled at times, but it has been so worth it. My weight today is 400lbs I’m still pushing forward to get to my goals. My hope is to help others realize anything is possible and never give up. Find what works for you and reach out to others. I was given the gift of life and for that I will be forever grateful. 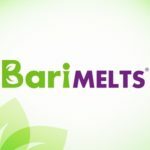 Join the #WeAreBariMelts Challenge and get a FREE sample pack plus a chance to win a 90-Day supply of vitamins from BariMelts! Click here for more details. Save this article for later by pinning the article below!